Okaaaay, I may or may not have only just realised that the Fool Moon review I did several months ago was only saved as a draft rather than actually being uploaded to the site. So – late and out of order though it is, here we have my view on Book 2 of the Dresden Files. Enjoy! 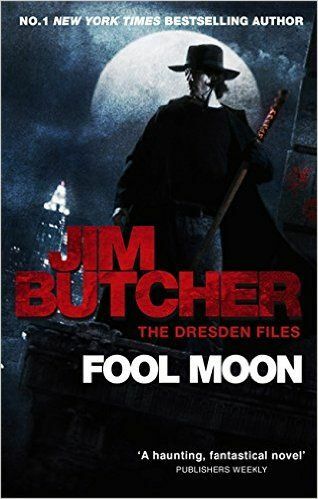 Presumably the review of Storm Front has encouraged any reader with taste to try out the Dresden Files and so naturally you’ll all be baying for a review of the next book in the series; Fool Moon. We begin with wizard-detective Harry Dresden having had a slow couple of months, and what with bills to pay and precious little work to help him pay them, things are just a little bit rubbish. After an awkward dinner with his pseudo-apprentice Kim, who Harry manages to offend by refusing to answer her questions about some potentially dangerous magic, our hero finds himself back in the employ of Chicago PD. Karrin Murphy, still somewhat annoyed at him for much the same reasons (ie Harry’s insistence on keeping people in the dark for their own protection), needs his help on a case: A mobster has been torn apart by some kind of wild animal in circumstances that fit several other recent homicides, all of which coincidentally occurred around the time of the full moon… Throw in a bunch of FBI guys with jurisdictional issues, a couple of wolfy-looking gangs and a woman who can look him in the eye without a soulgaze, and it seems that Harry’s life is getting interesting again! As usual with books that I like; let’s get cons out of the way first. I thought there were too many sub-plots here with too much of a gap in between them. For example, there are loooong waits in-between seeing the Alphas and the Streetwolves, to the extent that you’ve pretty much forgotten about them by the time they roll around again. OK, Billy and the Werewolves (Rock Band!) become relevant later on but for now they appear only infrequently, as do the Streetwolves, and in the second case especially we should either have seen more of them or nothing at all. On that subject, Parker seemed like a wasted character. He was interesting and dangerous and I’d have liked to have seen a bit more of him. Connected to this book being a bit ‘busy’ is the fact that we don’t really get to know MacFinn. Harry is reluctant to take him down and we’re supposed to be on his side (or at least appreciate the conflict in Harry), but the fact is I didn’t care enough about MacFinn to feel sympathetic, and more than once thought; ‘you know what, this man is serious trouble – just shoot him in the morning.’ Given that we’re probably supposed to be swept up in the tragedy of his curse, I found myself feeling pretty apathetic to it. The last one is a only a pseudo con (it’s part of a later pro so I can’t really lay into it!) – ie the super-caffeine potion. I loved the sequence but I did think; ‘How handy would this have been at numerous other times later on? Why doesn’t he have a hipflask of it with him at all times?’ OK, it may have limited shelf life, but as he grows in power he could either a) make it longer lasting, or b) brew it faster so it’s less inconvenient. When we see how incredibly potent it is for a quick burst and how (bear buckle aside) he seems to ignore this sort of thing later, it does raise certain questions in my head. Alright, with that over and done with, on to the pros. There’s a nice bit of emotion and shock early on and we see Harry making mistakes which while frustrating (I found myself wanting to shout at him for them!) is overall a very good thing. Something most of us love about Harry is that he is a flawed hero and it’s great to see him learning lessons as the books go on, rather than just ‘levelling up’ with each one. (not strictly relevant to this review but I love how he employs the lessons he’s learned early on in the later books of the series). Another plus point is the character of Tera. Now I know this sort of contradicts my earlier beef about not getting to know people, but in Tera’s case it actually works. She’s well-written enough that the lack of information is intriguing more than frustrating, and we see enough of her to get at least a decent glimpse of her character. All in all I liked this book for all its flaws. Several people have called Fool Moon the weakest of the Dresdens but I’m not so sure I agree. I was certainly engaged by it and looking back still think well of it, and if anything it’s a step up from the previous Storm Front. As usual I have the bias viewpoint of a man who’s read the series and sees the events in context, as well as feeling odd that the characters are so different to what they become later, but I like to think I still give a fair assessment. 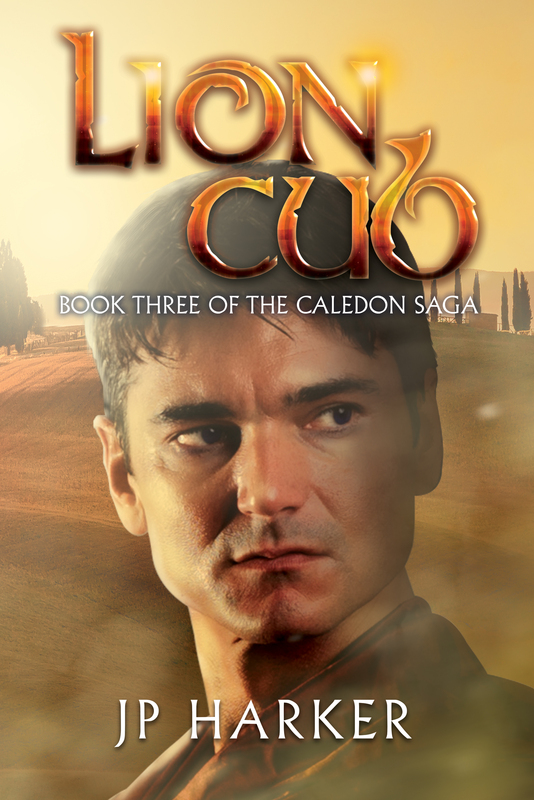 If you intend to read this, be prepared not to care too much about Mr MacFinn but otherwise you ought to enjoy it (it’s got John Marcone in it, who could ask for more? ).